ECORYS is a European consultancy and research institute with a history of 85 years and a Nobel Prize winner among its past directors. ECORYS is one of the largest organisations in Europe in applied economics, working for clients in the public and private sectors in more than 100 countries. The marine and maritime domain is one of the main areas in which the professionals of the ECORYS group respond to the needs of our clients. Over the years ECORYS has established an impressive maritime experience and expertise, not only in traditional fields like shipping, tourism and coastal protection but also in emerging areas such as offshore renewable energy and blue biotechnology. Experts of ECORYS are working in multidisciplinary teams, consisting of maritime economists, engineers, maritime logistics experts, legal and institutional experts, financial engineers and environmental specialists. Ilse van de Velde is an expert on water and environmental economics with 15 years of professional experience. She has extensive experience in infrastructure development projects, European river basin management planning projects, Water Framework Directive and Marine Strategy Framework Directive. More specifically, she has been involved in technical assistance projects on Integrated Water Resources Management, focusing on financial and economic analysis in projects on water management, Integrated coastal zone management, drinking water, waste water treatment and sanitation. 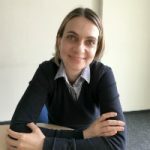 Recently, she has been involved in a study on Implementation Strategy for the Baltic Blue Growth Agenda and contributed to the implementation strategy for the blue bio economy thematic area. Ioannis Giannelos is an engineer with an MSc in TU Delft . 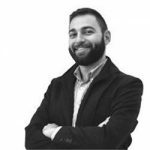 Ioannis has worked over the last 5 years as a consultant for Ecorys participating in a number of European and international projects. He has experience in projects relevant to EU policy assessment and evaluation in the maritime and transport domains. Amongst other, he has been part of the Ecorys team that worked on the Blue Growth study, the study in support of policy measures for maritime and coastal tourism and a number of sector studies in the framework of Blue Growth for DG MARE. He has also participated in a number of follow-up sea basin and sector studies focusing on the use of maritime resources for shipping, tourism and transport amongst other. Over the last years, Ioannis has developed a significant experience in assessing the financial, economic and social impacts of policy options working for clients such as DG MARE, DG REGIO, DG MOVE, DG ENTR, EASA and others but also participating in FP7 projects such as AMTRAN, DRIVER, VRUITS and NeXOS. In the latter he worked on assessing the impact of developing a new generation of marine sensors for better marine environmental protection. Aneta Kovacheva is a Senior Consultant at Ecorys South East Europe since December 2012. She has Master’s Degrees in Economics, in Political Science and in European Union Studies, and a Postgraduate qualification in Law. She has 20 years of professional experience, 11 of which are in delivery of consulting services. Her fields of expertise cover areas such as public policy and public services delivery, national and EU policies in the field of agriculture, maritime spatial planning, labour market and education, the Internal Market, public procurement and competition, regional development, justice and home affairs (human rights, refugees and migration). She has skills for and experience in data collection, research, analysis and comparative analysis, assessment and evaluations in the fields mentioned above, as well as for drafting analytical reports and case studies, including within contracts assigned by the European Commission. In terms of her experience in the field of EU’s Maritime Policy, it should be said that she is national contact point for the “Assistance mechanism for the implementation of Maritime Spatial Planning” project (http://www.msp-platform.eu/). Aneta Kovacheva is fluent in Bulgarian and in English, and has basic knowledge of German language. 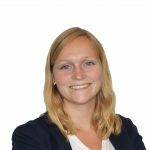 Rianne Läkamp is working at Ecorys as a consultant in the fields of transport, infrastructure, mobility and sustainability. She holds a master in Biology and has a strong background in scientific research. Furthermore, she completed a second master in Industrial Ecology, also known as the toolbox for sustainable development. During this interdisciplinary study, she learnt how to analyse society’s key challenges from a technical, environmental and socio-economical point of view. She has experience in policy, environmental as well as economic analyses for both national and international clients. 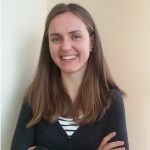 Before starting at Ecorys, Rianne worked on the European Horizon 2020 project MADFORWATER, for which she conducted cost benefit analyses for several wastewater treatment technologies for re-use in agriculture. Currently, she is working on BRIDGES: Bringing together Research and Industry for the Development of Glider Environmental services. The main objective of this project is to perform research on cost-effective, robust, re-locatable and easily-deployed glider systems with multiple sensing, surveying and monitoring capabilities to support exploration and protection services of the coastal and deep ocean. Assya Pavlova has been a consultant at Ecorys South East Europe since February 2014. She holds a Master’s Degree in International Relations from the University of Amsterdam. She has 4 years overall professional experience and 2 years practical experience in ex-ante, on-going, interim and ex-post evaluation of EU pre-accession assistance and Structural and Cohesion funds. She is a qualified expert with in-depth knowledge of evaluation methods, techniques and practices including those used by the European Commission. She has been involved in evaluation of interventions in different fields such as regional development, environment, and maritime planning. For instance, Assya was responsible for data gathering and indicator analysis under the following projects: “Impact evaluation of the interventions under Operational Programme Regional Development 2007-2013”, “Ex-ante evaluation of the Fisheries Programme 2014-2020“, and “Assistance mechanism for the implementation of Maritime Spatial Planning”. She has good analytical skills and excellent report drafting and communication skills in both Bulgarian and English. Javier Fernández (Technical Director ECORYS España) holds a BA in Law (5 years) from the University of Oviedo, Spain, an LLM in European Community Business Law from the Europa Institute, University of Amsterdam (The Netherlands), a Certificate on International Development by the London School of Economics, London (UK) and an Advanced Certificate on Project Management from the Chamber of Commerce of Madrid. Since he joined Ecorys in May 2004, he has gathered an extensive experience in coordinating, managing and conducting research and evaluation projects in a broad range of policy areas. 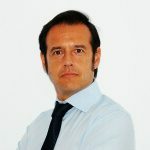 Overall, he has been involved in over 40 consultancy, expert advice and evaluation projects with various clients in Spain and many other EU Member States and countries in Europe. Study on Deepening Understanding of Potential Blue Growth in the EU Member States on Europe’s Atlantic Arc: Portuguese and Spanish case study (Country Expert for Portugal and Spain).